Sneaker Wedges Just $34.99! Down From $85! You are here: Home / Great Deals / Sneaker Wedges Just $34.99! Down From $85! TODAY ONLY! Hurry over to Jane where you can score these Sneaker Wedges for just $34.99 down from $84.99! Shipping is $6.99 for the first item and $3.99 for each additional item! Kick-it in super cool athleisure wear. 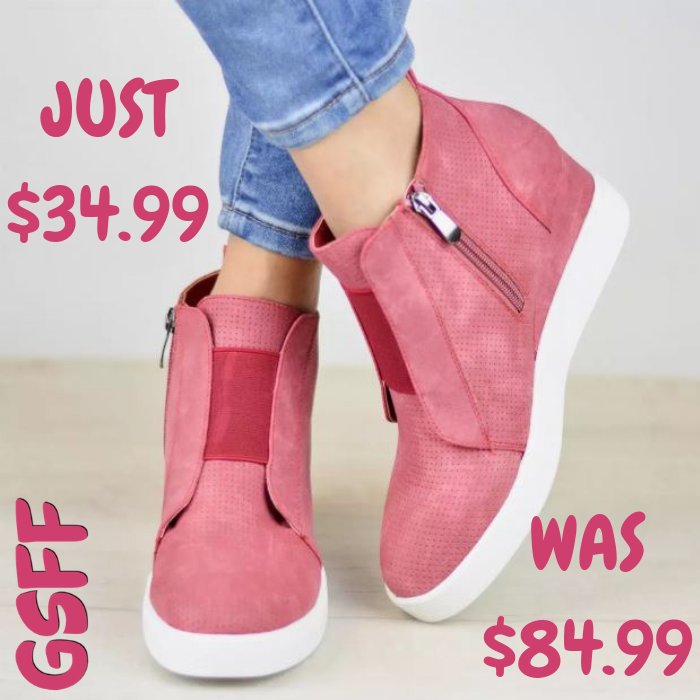 These stylish wedge sneakers feature soft faux nubuck uppers with cut-out detail that highlights pinhole texture and stretchy fabric on the tongue of the shoe. Thick outsoles contrast the look and side zippers complete the style. These fashion sneakers are made with faux nubuck leather and man-made materials. A round toe is highlighted on this wedge sneaker style.